This entry was posted on October 31, 2011 by joeleagle. 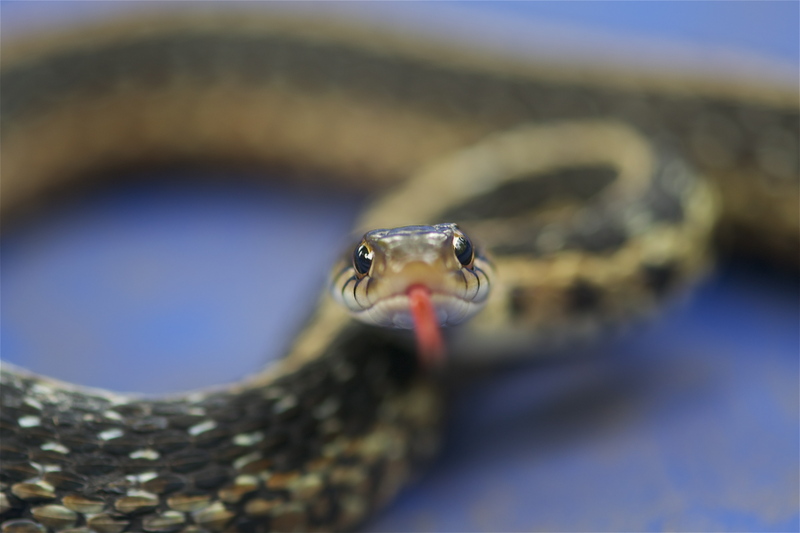 It was filed under Animals, Reptiles and was tagged with Eastern Garter Snake. This is amazing! I love this picture. The “expression” on the snake’s face is fantastic, and you just have to look at it’s eyes! Thanks Shirra and Terri, I had to rescue this guy from the netting I put over my pond to keep the leaves out. He became intwined so tight in the net that I had to cut him out with a scissors, then once he was free he still had a very tight piece of nylon around his stomach. I then brought him up on my deck, got small scissors out, put on my reading glasses and cut the constricting thread, being extremely careful not to cut him. This photo was snapped after he was completely free of the netting, after a few pictures I released him in the very back of my yard. He was very well behaved throughout the entire ordeal … I hope to see him again next spring!